Power Failure, Rain, Mud — Joy! It’s Tuesday morning and we just finished our breakfast and devotions. We had some rain yesterday, literally showers on and off. We stopped work several times. We still got much done in spite of it all. Now we’re left with a lot of slushy mud making it awkward to get around. I think the sun will be out soon to dry everything out. Another hindrance that happened yesterday was a power failure in the area. It changed the way we operate like having to use hand saws instead of power saws, etc. It lasted about 3 hours. There was a big cheer when it finally came back on. One of the things we’re trying to complete is getting the roof on before we get any more rain. We’re building all the trusses ourselves, and the first one went up yesterday afternoon. We had vacation Bible school last night with some of the girls. I shot some video but no stills. I’ll take some still pictures at the next one so we can post them on the website for you. One of the highlights the girls shared with us was their experience in technical school. They were so proud to show us their diplomas and explained the new skills they learned that will help them to find employment later in life. Beautician, cooking, and crafts were the main subjects of focus. This is very important and relative to our purpose here. When our building is completed the girls will have the opportunity to learn these skills and more right here on site at the orphanage. They showed us the tools they were given as part of their scholarship and displayed samples of the crafts and gave us some of the cake they made themselves. I had some myself and went back for seconds! Theresa offered to sell some of the crafts she was making and ended up taking orders for more. She said she needed a work bench and I think there was a plan to build her one first thing this morning. This is so exciting to see the girls taking some pride in their self worth. Most of them are praising God with us for they know it is He who has ultimately blessed them. Big prayer request today- Chuck and Pat are getting further along in the process of adopting Sylvia. I learned of this possibility two years ago when I first came to Chile. It’s nearly impossible for a U.S. citizen to adopt a Chilean child for whatever political reasons I’m not clear of, but it can happen and Chuck and Pat have been in the process for many years. Finally some headway is being made. They are expecting a phone call later today. Here is the situation; both Sylvia’s biological parents are alive and living somewhere in Chile. The whole process would go much smoother if both her parents would be willing to release her formally. The father has consented to this but the mother has said no in the past. The girls’ counselor offered to go with Sylvia today to try to locate her mother and convince her this is best for Sylvia. The trip will take about 9 hours one way. They left early this morning with only an address. They have no other way of contacting the mother except to physically find her. We are asking God to guide them and to prepare the heart of the mother to do what is best for her daughter. Sylvia is now 15 years old. She does not even want to see her mother. She is scared about the whole situation. She does however, want more than anything else, to be adopted by them. We are all praying about this even while we work. Please join us. As I learn the names of everyone here I will begin to inform you of who is assigned to what task. Then you will be able to pray more specifically for the individuals you know and love. An example of being “flexible” on the worksite- I asked my friend David before bedding the other night what was the one assignment he hoped not to be asked to do. He was pretty open to doing just about anything but did mention something about hammering and not wanting to be too high. He was assigned to hammering on the second floor! He did a good job of it too. We miss our families and friends back home and are praying for you as well as our churches who have sent us here. Pray for our finances. We are operating with a minimal budget. Tom says he needs money to buy food for the team. It’s been a very difficult year to raise support because of all the charitable need worldwide. Pray that we will continue to trust in the Lord to provide for us. Pray for the adoption process. Pray for the weather and the power outage problem. It is common for the power to get turned off randomly and unexpectedly. Praise God for the unity of the team. Pray that it will get even better. Pray for Tom while he is called away on other business and will be away for about 3 days. Mark is asking us to pray for him as Tom has left him in charge of certain things including driving. He is not as familiar with the area… Every day the kitchen crew needs to go shopping and Mark is trusting God to get him around all the pot holes, etc… I remember they don’t have lanes clearly marked in the streets. Most drivers just create their own even if it means driving on the shoulder or sometimes on the wrong side of the street, and bus drivers act as though they are driving a sports car. Health and safety are always important prayer requests and God had blessed us with good health and no injuries so far. We thank you for your continued prayerful support, and we love you all. Previous Post The "new" team has arrived safe and sound! Praise God for what is happening with Team Two early on!Thank you for keeping us informed. The pictures are wonderful! The prayers from young and old are continuing for each and every one of you. What an awesome opportunity for part of my family to be able to share their talents and testimonies in Chile. We love you all! 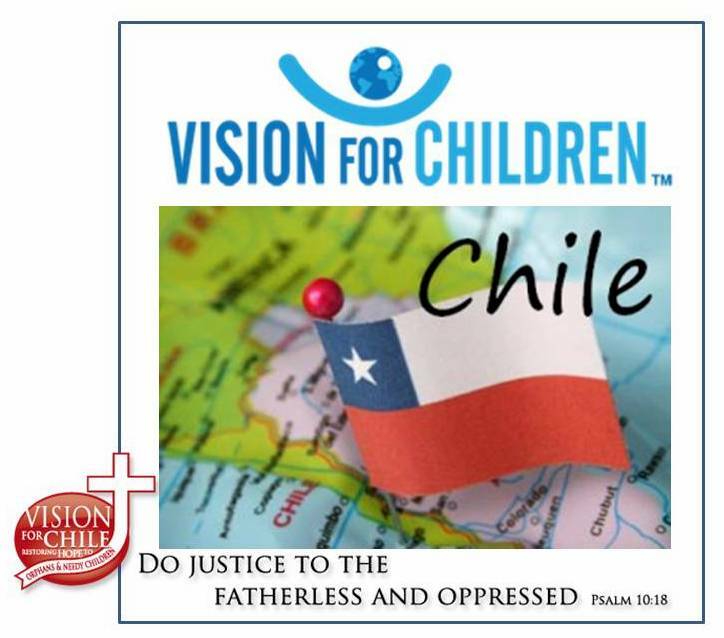 these “update” letters of what’s happening in Chile are just awesome! Thank you 🙂 They are soooo helpful to us back here in the states. Poppa (Big Ben)….little ben wants you to know the mighty steelers won on Sunday 27-13. Grandma (dottie)….bunches of love to you! We will be praying for Sylvia and her adoption process, along with everyone’s health and safety. Lots of love and prayers from cold, wet, ERIE, PA. Praise God for all of you! I have to confess that I have been wiping tears from my eyes as I read the updates. A great big hug and lots of ciao to all that I know and love down there!!!! You are all in our prayers and thoughts cobstantly. Keep up the good work and may the Lord continue to keep you strong and healthy. Hey truss crew learn from my experience, it REALLY hurts when your finger comes between the truss and the mini sledge hammer :0 !!! Happy Birthday Nancy! I love you!